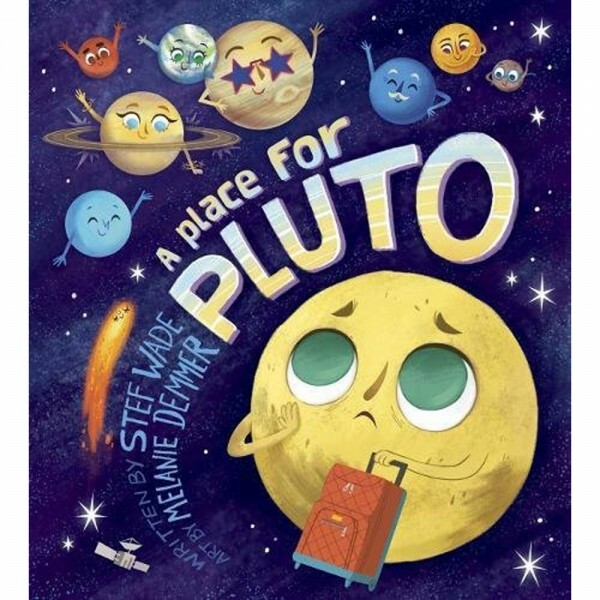 A Place for Pluto by Stef Wade - spacekids - space toys, dressing up costumes, kids spacesuits, astronaut food, cool space stuff! Planet Pluto got the shock of his life when he was kicked out of the famous nine. His planet status was stripped away, leaving him lost and confused. Poor Pluto! On his quest to find a place where he belongs, he talks to comets, asteroids, and meteoroids. He doesn't fit in anywhere! But when Pluto is about to give up, he runs into a dwarf planet and finally finds his place in the solar system. This feel-good picture book combines a popular science topic with character education themes of self discovery, acceptance, and friendship. It has bonus material in the back matter to support the curriculum.